Independent label Domino Records is set to release a brand new mobile phone app, which will host exclusive content and shows presented by artists such as Radiohead, Arctic Monkeys and The Streets. 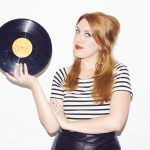 The app follows the label’s week long radio project in June of this year, which saw 168 hours of special radio shows broadcast online and in London on local FM radio. Now these shows – hosted by the likes of Colin Greenwood of Radiohead, pictured above with Thom Yorke, Matt Helders of Arctic Monkeys and Mike Skinner of The Streets – will be accessible using the new app. The app will feature a specially curated selection of the Domino radio shows, which will change each week, as well as over 200 streamed songs from artists currently signed to the label. In addition, Domino’s entire video archive will also be streamed, and there will be up to date news on all of Domino’s acts. For more information on the app and to buy it, visit the iTunes store.